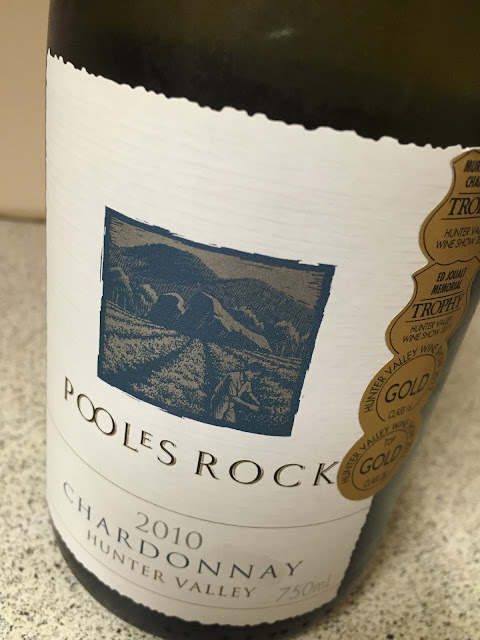 Poole’s Rock is now part of the Agnew family holdings (along with Audrey Wilkinson) and good to see the label back in family hands after David Clarke’s death. The style here straddles new and old Hunter Chardonnay, with a full barrel ferment and lees stirring but no malo. It sort of works too, the straw yellow coloured wine retaining plenty of freshness even in the face of some bottle age dustiness. There’s a little sweet and sour here, but the impact of generous golden pineapple fruit/sweet oak and a crisp finish makes this quite appealing, if just a bit chubby for big points. Would I buy it? Just a glass for me.